We build primary schools that create an educational pathway for rural children. Our focus on primary schools (grades 1 – 8) in the Dangla area means rural students who previously did not have access to school through 8th grade can now continue on to high school and even beyond. 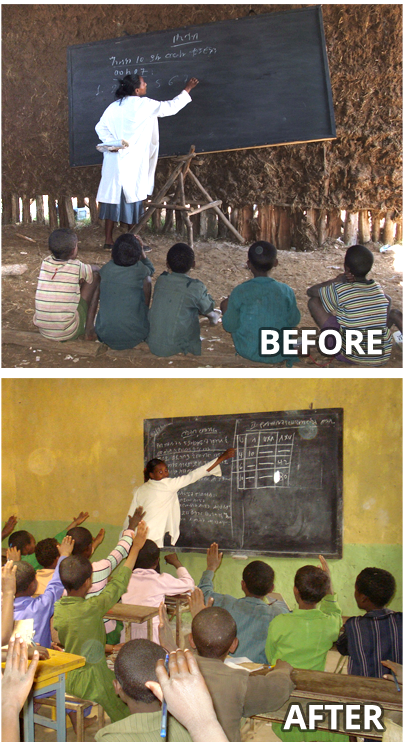 Project Ethiopia works to bring education and opportunity to rural children throughout the Dangla region. 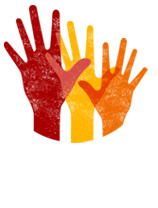 But there are many ways to contribute towards that goal. Our challenge early on was to identify where we could make the greatest impact given our size and organizational values. The answer soon became clear: build primary schools with the help of the community in areas where there are no such facilities. 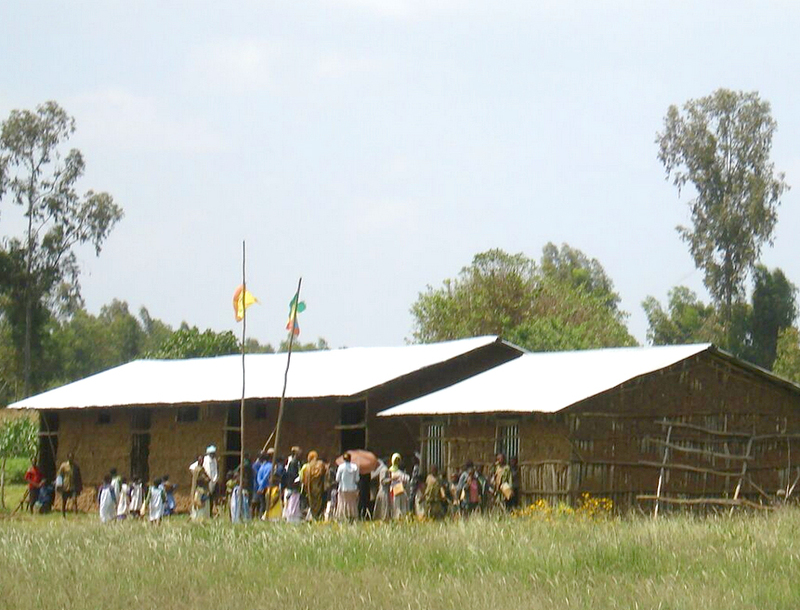 With proper buildings, the Ethiopian government will provide certified teachers and curricula materials for these communities. High school opportunities exist in Dangla, but those are unattainable to rural students who cannot complete school through 8th grade due to lack of access to primary schools. And with that, a model for creating access to education for rural children took root! Partnership with the community is critical because the resulting pride of ownership guarantees careful usage and upkeep of the buildings by the villagers. Our first school construction project presented special challenges. The original school, built on marshland, was damaged beyond repair due to the yearly swelling and shrinking of the land. To our great fortune, a German firm was building a water system nearby and shared their expertise which allowed the project to go forward. Parents followed their suggestions by digging very deep and filling the space with rocks and gravel so water can pass through below. Project Ethiopia could then safely begin construction above this ‘island ’ foundation. The result: 3 beautiful school buildings serving grades 1 – 8 where previously a dangerous, damaged school only served students in grades 1 – 4. With tears in his eyes, one father from Tara village (our third new school construction project) told us that he had previously tried to send his 6 year old son to a school near Dangla (walking 5 miles each way). When rainy season arrived, his son got sick from the long walk and often missed school. Eventually the boy had to quit school and the dream of an education seemed all but lost. Building a school in Tara has brought not only access to education for this family, but also hope for the future. 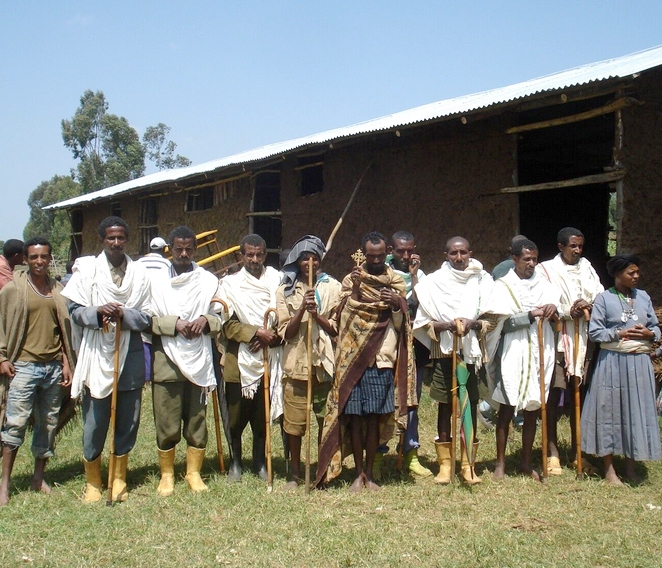 Another unique part of the Project Ethiopia model is the role of the village education committee. Villagers who desire a school for their children form a committee and encourage the entire village to volunteer. 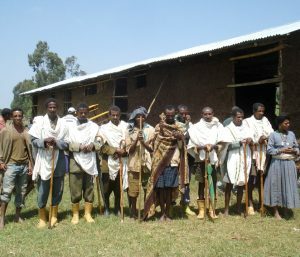 Then they request that Project Ethiopia come to their village for project work. The community spirit inspired by the Education Committee sets the course for future projects in that village that will also require community involvement such as water and sanitation projects.